On Sunday, 80 million Iranian paid rich tributes to Imam Khomeini on 28th anniversary of sad demise of the leader of the 1979 Islamic Revolution. Iran’s Supreme Leader Ayatullah Ali Khamenei addressed tens of thousands people gathered at Imam’s Mausoleum, southern Tehran, to mark the event. During his speech, Khamenei ridiculed US president Donald Trump‘s sword dance with Saudi Arabia’s backward and tribal rulers, noting they are allying against Iran in vain. “The US president stands alongside the leaders of a tribal and backward system and does the sword dance, but criticizes an Iranian election with 40 million votes,” Khamenei said. “Even with a multi-billion dollar bribe to America, the Saudis cannot achieve their goals in the region,” the Leader remarked. 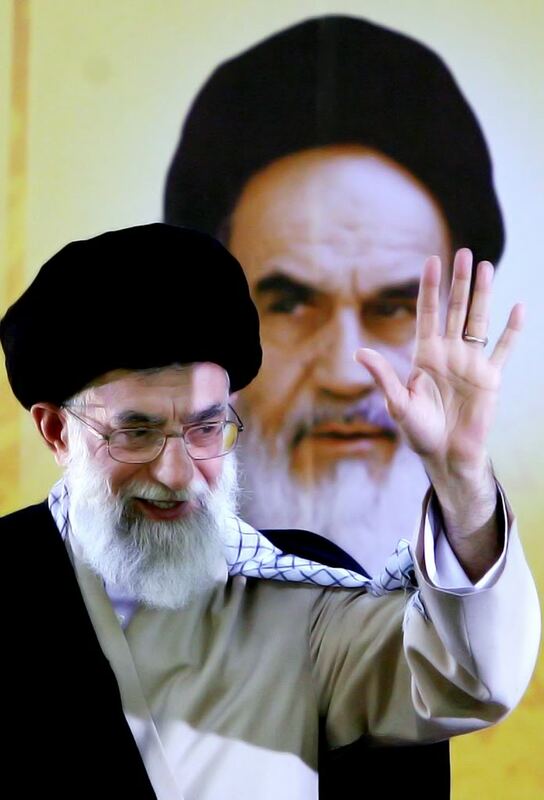 The Leader stated that Imam Khomeini had described the US and Israel as the “Great Satans and an unreliable states,” adding that the heads of European countries have confessed that no one can trust Washington, which attests to truth of Imam Khomeini’s ideas. “This is wisdom. The Americans are unreliable with respect to all issues,” Ayatollah Khamenei pointed out. Kofi Annan, a CIA agent, who heads The Elders, founded by late Nelson Mandela, first president of South Africa, said that Trump should talk to Iran. Annan said if he had the chance he would tell Trump his antagonistic policy toward Iran, including labeling it the enemy and a purveyor of terrorism, isn’t going to do anything to bring peace to the Middle East. “Iran is part of the solution to the conflicts in the Middle East, including Syria and Iraq, and we cannot get away from that fact,” Annan said in an interview with Rothschild-owned Associated Press.